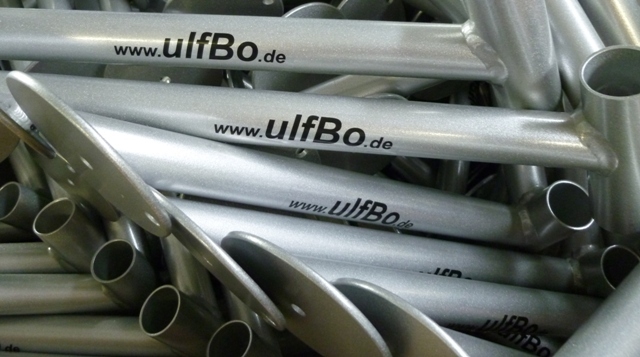 Years of enjoyment with the ulfBo ... stable in value: an investment that pays off! The frame is made entirely of aluminum. 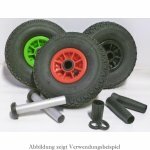 Welded in handcrafted quality in-house in Germany! The surfaces are painted. Do not panic if there's a scratch in the paint the aluminum frame does not rust! 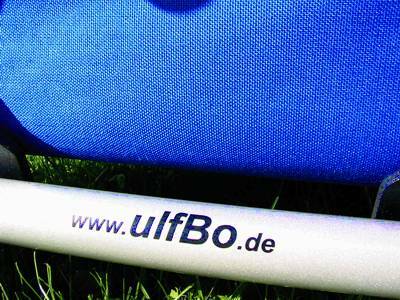 Our ulfBo® handcart is equipped with CORDURA®. CORDURA® fabric is used primarily for backpacks, travel bags, shoes and heavy workwear. 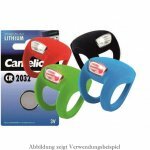 It is extremely durable, tear and abrasion resistant. In addition, the material is very UV stable - the sun can not harm it very much. It is also dirt and water repellent and it dries very fast. 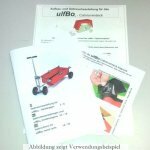 Currently we offer our ulfBo handcart in the colors blue, red, may green, black, dark brown and orange. 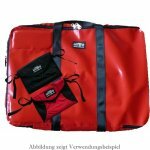 Our ulfBo convertible tops are sewn of 100% waterproof AIRTEX® polyester fabric. It is acrylate-coated and dirt-repellent on one side. The convertible top protects against rain and does not let UVA and UVB rays through. The tarpaulin material has a high breaking strength and tear resistance and complies with DIN ISO 9001/2000. The sturdy side windows are phthalate-free (free of carcinogenic plasticizers). The cleaning of the fabric can be done manually by means of a soft sponge with lukewarm water (about 30 ° C) and commercially available mild detergents. After a thorough rinsing, the material must dry. 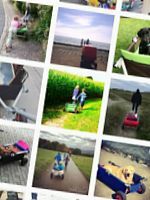 (Color variations due to different representations of your screen are possible.